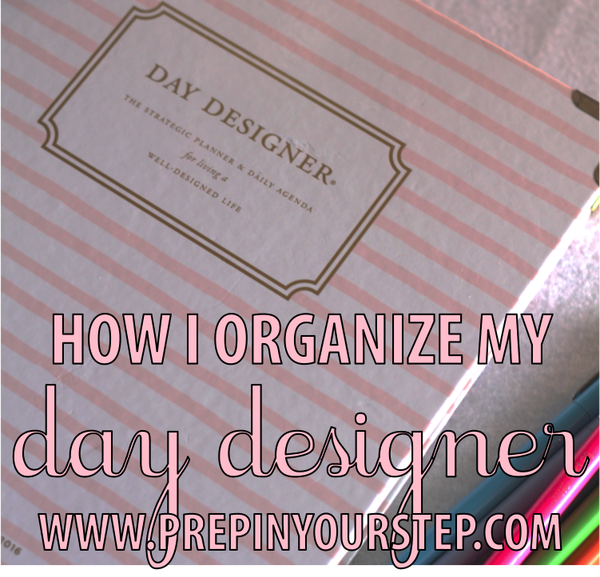 If you've been following along for a while then I am nearly positive that you are aware of how much I love a good planner and a solid organization strategy! 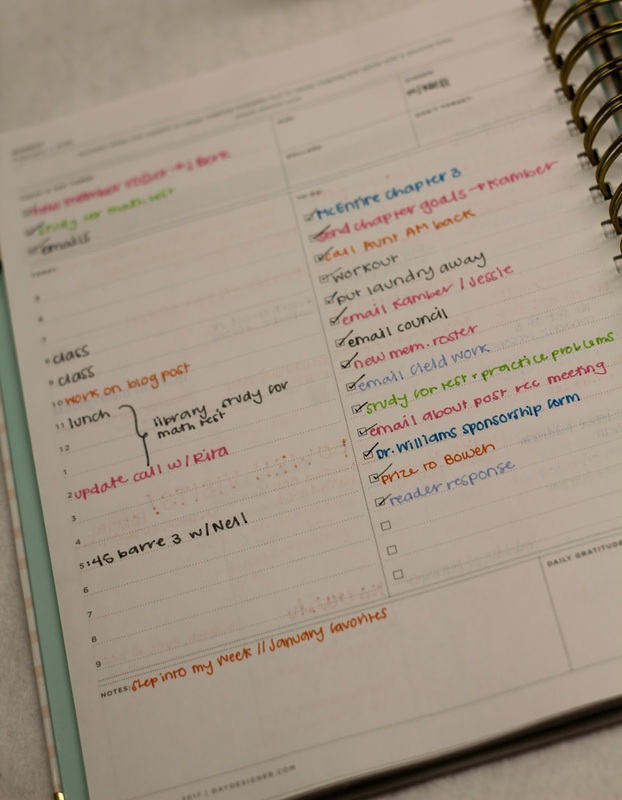 In the past some of my most viewed posts have been about how I organize my planner. 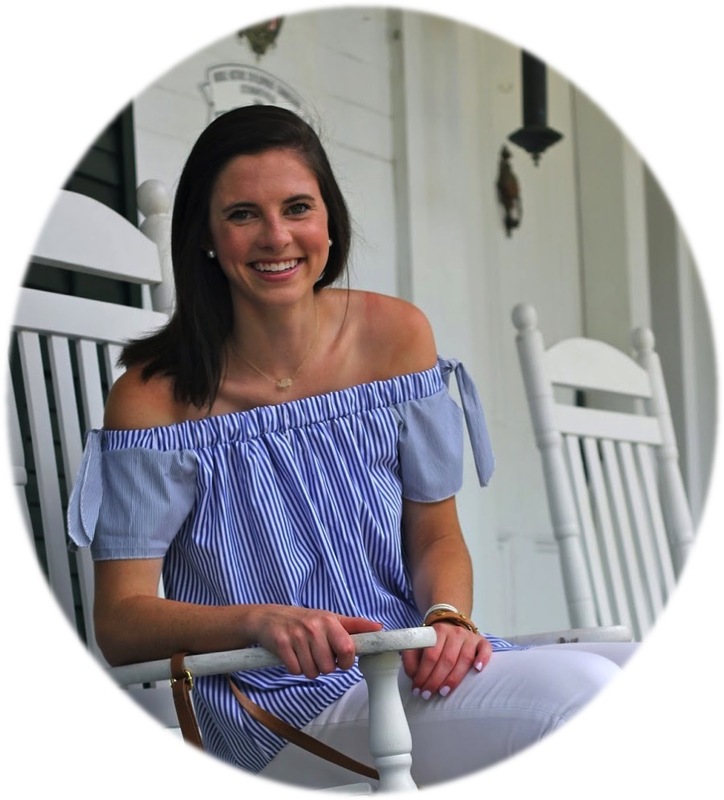 Ever since about half way through last semester I realized that my Jumbo Lilly Pulitzer one just wasn't going to cut it anymore as my schedule got busier and I took on larger roles in various organizations. I had heard all about the Day Designer from a few friends and decided to bite the bullet and purchase one to start using once the new year came around and I haven't looked back since. The thing that is unique about the Day Designer is that it has a page dedicated to each day of the year. I was super hesitant to try this out since I am a very visual person and liked seeing all that I had due in a given week on two pages side by side. This has forced me to really start to better utilize the monthly calendar view which is a perfectly fair trade considering I adore being able to fill up a page of my planner with what I have going on hour by hour alongside a to-do list. I honestly can't recommend it enough and love taking a bit of time each morning to completely plan out what I have going on during a given day while also writing down the tasks I need to accomplish. For those of you concerned by the amount of space it may take up since there is a page per day I would say do not worry about that considering mine slides perfectly into the front pocket of my backpack without sacrificing any other space. I know this definitely won't be my last time to purchase (and completely rely on) a Day Designer planner. I have always been a huge fan of color coordinating my agendas and I knew that I wanted to do that with my Day Designer as well. I swear by Le Pens and have used the same ones for about 3 years now (worth the investment!) and the best part is that in addition to writing really smoothly they don't bleed through the pages! At the start of each semester I take a post-it note and assign each class and activity a different color pen! For reference: Pink - Kappa Delta // Orange - Social // Grey - General Events // Green - MTH 301 // Light Blue - EDU 331 // Royal Blue - EDU 333 // Turquoise - REL 310. I use this color coating both on the daily pages and on the calendar overview. After a week or two I automatically start associating each color with its class and don't even have to reference the post-it note. I would love to know how y'all organize your agendas or if you also use a Day Designer? Shop some of my agenda essentials below! Sadly my exact color Day Designer is sold out but I have included some of the other fun color choices instead! I've got the Target collaboration with Day Designer but when it runs up in May I think I will definitely be purchasing the real deal! Thanks for sharing your organization tips! I also use the Day Designer and seriously love it! It is the perfect layout for busy high school or college girls. Thanks for sharing your organization! I loved reading this! I've been reading a lot of hype over these and am still unsure if I want to make the switch. I am oddly interested in seeing planner organization! I love your handwriting! I love seeing how you organize your planner! I love my Lilly agenda but your Day Designer looks so nice! y se marcaron este movimiento como un medidor de 4030. Desde 2000, Rolex está utilizando su relojes replicas movimiento se desarrolló en la Rolex Daytona (1) 16520, 4130 calibre saben muy bien que la gente de Rolex en muy conservadora de diseño inteligente de manera que tenga una segunda parte en forma de replicas de relojes flecha es bastante impresionante.